On behalf of the Parents Club of Central New England, I invite you to join our parents’ club. We are an organization committed to supporting our midshipmen, as well as one another. 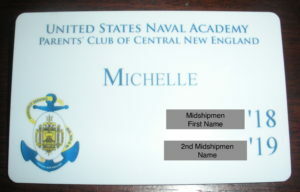 Membership in our club is open to all families and friends of the United States Naval Academy, Appointees, Midshipmen, Graduates of the Academy, Blue and Gold Officers and anyone interested in supporting the Mission of the USNA Parent Club. We cover Massachusetts, New Hampshire and Rhode Island, and Maine! If you are a new member or a current member renewing your membership, please register here at Join PCCNE link. If you would like to order a name tag to be worn at our local club events and while visiting the Academy, please order the name tags here Name Tag Order link. Especially for Plebe parents, you get to view the photos from Plebe Summer and look for your “Waldo”. 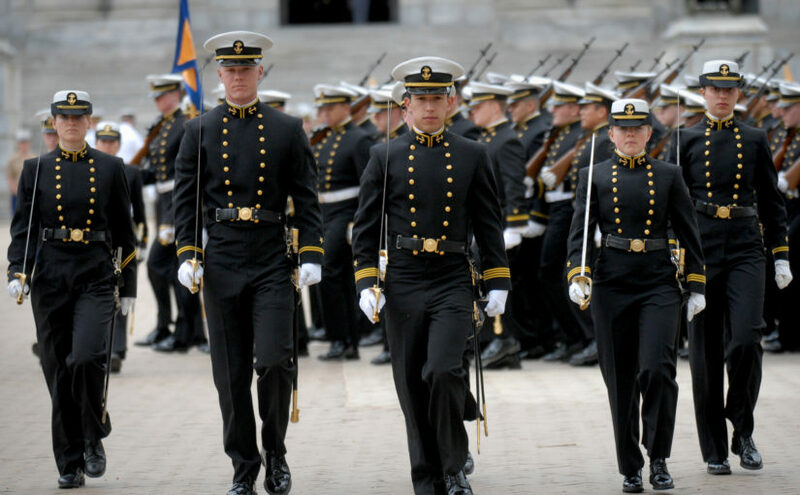 This is a great benefit as it is about the only way to see what is going on during the 6 week training of your Plebe [thru their website usna.com].